Where Is The Fountain? : What's a Word? A meditation I offered at St. James' Parish, Wilmington NC, in honor of Jesus' death. Good Friday 2012. And rolled off a tongue more used to blasphemies than blessing. And what must she feel? The very life that knows that life only comes through his death. Makes one not wise but simply a fool. Ah, but foolishness isn’t something to be scorned, says St. Paul. Than even the feistiest of the feisty, the mightiest of the mighty. and not lift a finger in self-defense. Than the most worthless copper coins. And declare with his own life that forgiveness is a must. journeying slowly, and steadily, towards his own tomb. Was not sudden, nor unforeseen. though it certainly wasn’t his dream. Seeks to kill him while he weeps. And thus is damned and then forsaken? so that he could draw us near. 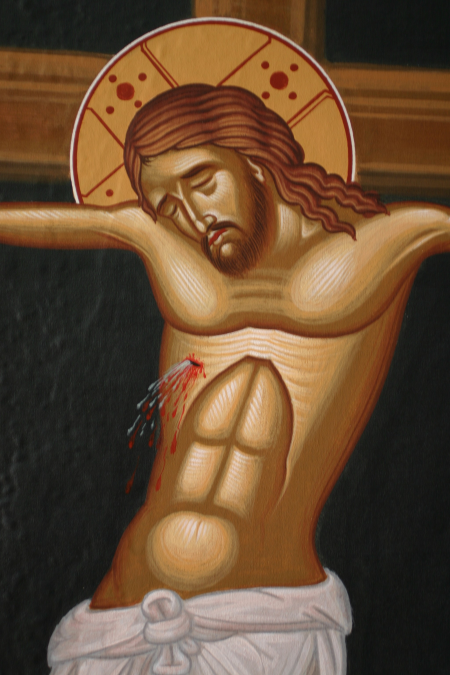 Or even the Blessed Body of Christ whose sins and scandals have driven it to disunity. Was carried on the back of the man from Nazareth that dark and dreadful day. To Golgotha where he would shout out ‘It is finished! To Golgotha where he would die. I suppose it’s not just breath. Proclaim the glory of Jesus’ death.